Murrelektronik&apos;s tough fieldbus module, MVK Metal with 7/8" connection, is now available with Fast Start-Up and galvanic separation. Fast Start-Up gives you the shortest possible setup and start-up times. This is extremely important for paint shop and materials handling applications in the automotive industry. On automotive assembly lines there are many robots that have to perform multiple tasks. Each separate task requires a change in their tools. Therefore, several hundred tool changes might be carried out over the course of a day. These connecting and reconnecting processes need to be done in the shortest time possible for the robots to achieve maximum productivity. Therefore, the time between connecting power to the robot and the first cyclic data exchange has to be as short as possible. With the integrated ProfiNet function Fast Start-Up, or FSU, MVK meets the demanding requirements for start-up times: within 400ms of a tool change, the module is operating. 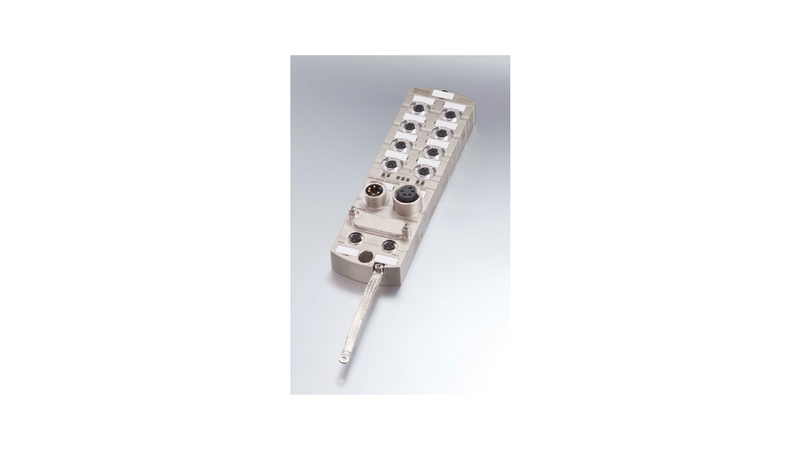 The MVK Metal fieldbus module with 7/8" connection also meets the requirements of the automotive industry in several other ways. Its solid zinc die-cast housing makes the module is resistant to weld spatter, oils and lubricants. Each module is also fully potted making it resistant to shock and vibration while a screwed-in metal back plate protects the potting and keeps electromagnetic interference to a minimum. Plus, the 7/8" connections are a guarantee for a perfect seal - making the module suitable for demanding applications in paint shops or materials handling.